The cold compress pack is easy to use, especially with the included support wrap. Put the cold compress into the freezer with the wrap, then wrap the compress around the affected area. Unlike the usual ice packs that don’t stay cold for long, the cold compress pack offers long-lasting cold therapy that can be used again and again. Frozen cold compress packs are flexible so you can effectively wrap it around the area experiencing pain/discomfort. Best used for injuries including: burns, sprains, back pain, and post surgical discomfort. 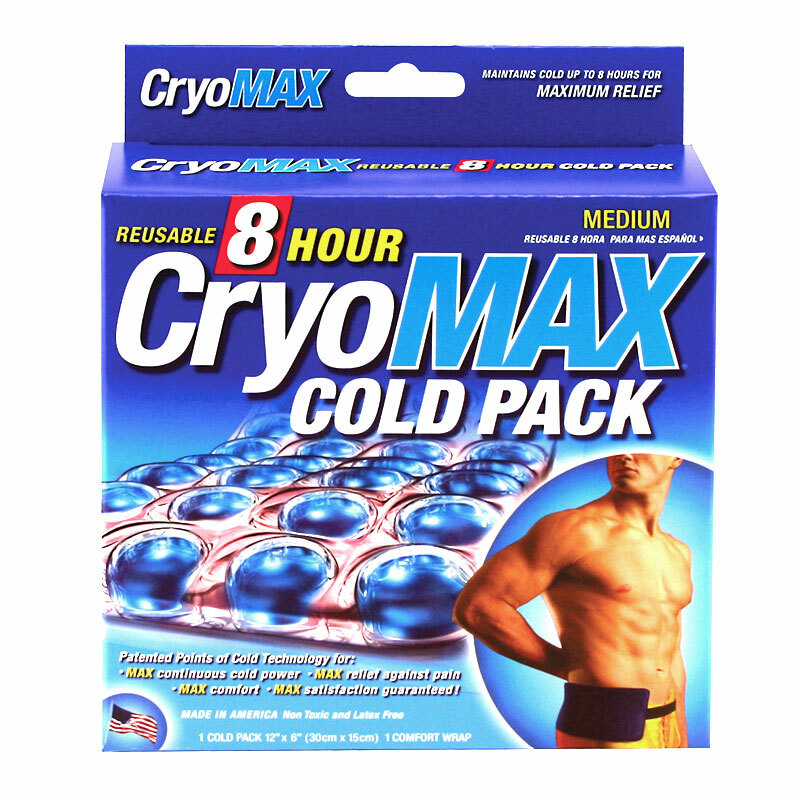 If you plan to use the cold compress pack or other CryoMAX® products as form of therapy, be sure to check in with your doctor.